Offensively, this is where London shines. Not only will they be rolling out Alliance scoring champion George Diaco, but their secondary scoring options could be considered top options on some other teams. Diaco may have led the league in goals, but he plays more as a facilitator in the offensive zone. London will look to options such as Brendan Mairs, Joey Studnicka and Quinton Pepper among others to continue to rack up the goals. Huron-Perth had found success early in the year with many forwards chipping in offensively. For the last few weeks of the season, the offense dried up and it was up to Schoonderwoerd and Pryce to attempt to take over, which sometimes proved difficult. The Lakers will need Wideman and the speedy Bobby Leis to help out and produce significantly offensively. Both forward groups play a bit of a different game. Huron-Perth has a smaller roster of forwards and rely more on their speed in the breakout to create good scoring chances. While with some speed, London is a much physically bigger team that uses their size to wear down the opponents. I believe the Lakers will need to play a bigger game in order to find success in this series. Huron-Perth has a nice mix of size and skill on their blue line. Thomas Gangl has been a steady player on the back end who has been great in his own end and been able to quarterback the powerplay. Austin Mumby is another defender who has improved immensely over the course of the year and has become a key piece of the defense at this point in the year. The Jr. Knights have a very stable bunch of players patrolling their blue line. Led by top prospect Sheldon Serraglio, the London defense is full players who take very calculated risks with their offensive rushes and seemingly always get back in time. The best offensive option on defense for the Jr. Knights has been Alex Bikos and I expect that to continue through the postseason. Goaltending is the one field where I think the Lakers have the upper hand. Huron-Perth’s Carter Roth should be considered as the best goaltender in this series and Garrett Golley has been more than reliable behind Roth. The Lakers will need both Roth and Golley to be strong to keep them competitive in the opening round. Even though Jackson Mailloux and Tim Kerkhoff helped their team to the #2 seed, their consistency is something that could hurt London. Both will need to avoid having off games as the momentum could shift in the Lakers favour very quickly. The Jr. Knights have controlled the Lakers for nearly every period that they have played against each other this season. As stated earlier, I expect London to use their size to try and over power the Lakers with Studnicka, Pepper, Mairs and Jacob Chantler leading the way on that front. Should the Lakers have a chance, they will need some very timely scoring and strong play in goal from both Roth and Golley. 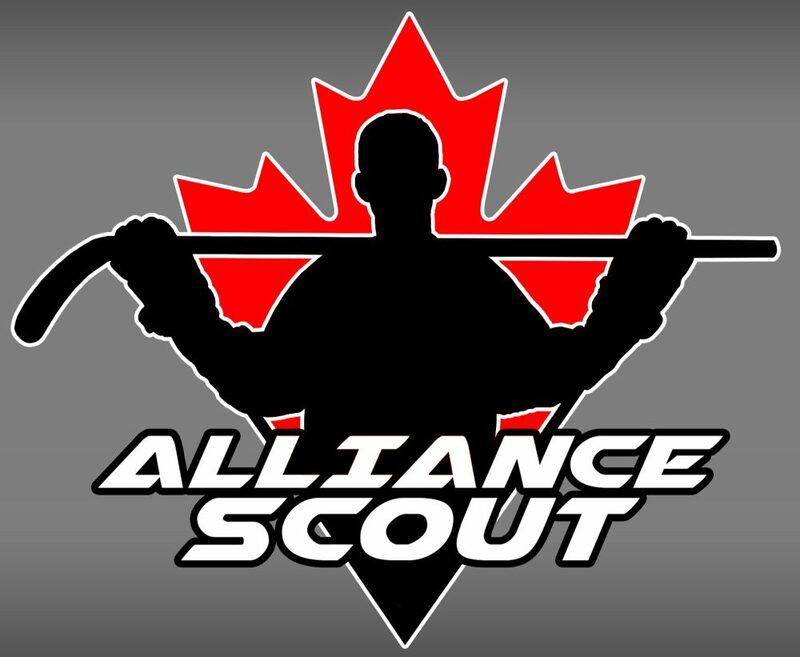 This entry was posted in alliance playdowns, Alliance Scout, Huron-Perth Lakers, London Jr. Knights and tagged alex bikos, austin mumby, blake wideman, bobby leis, brendan mairs, carter roth, carter schoonderwoerd, garrett golley, george diaco, huron-perth lakers, jackson mailloux, jacob chantler, joey studnicka, london jr. knights, quinton pepper, sheldon pryce, sheldon serraglio, thomas gangl, tim kerkhoff by Dave Coulson. Bookmark the permalink.